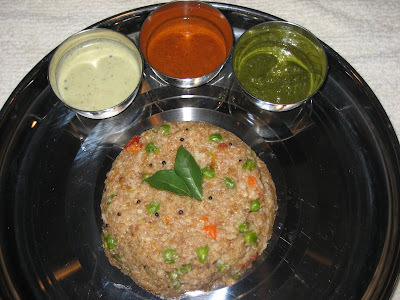 My mom makes Cracked wheat upma at least once in a week for breakfast/dinner for my dad. 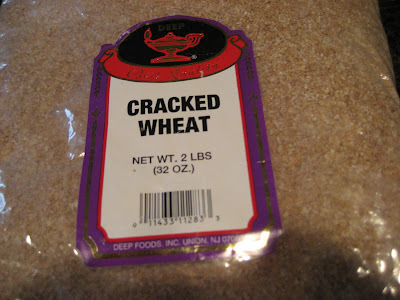 Cracked wheat was one among the item in the untouchable list when I was young. So she used to make different items for me and my sisters whenever she made this. Now being mom of two, I don't have any untouchable list (to be a role model to my kids). Cracked wheat is available in most of the Indian stores in USA but I couldn't find the finely ground sambha rava which is available back in INDIA. 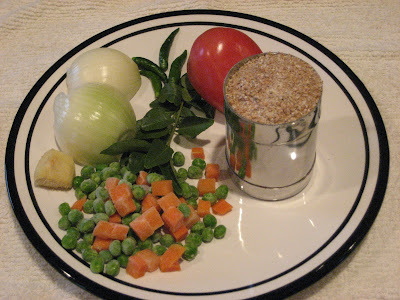 You can also pressure cook the samba rava (1:3) like you do for rice and have with sambar and vegetable. This is a very nice alternative to rice. Dry roast the cracked wheat in a pan and keep it aside. Break the red chillies into two and slit the Green Chillies lengthwise. Heat the oil in a pan. Put urad dhal and mustard seeds. Once the mustard seeds start to splutter , add green chillies, red chillies, onions, ginger and curry leaves. Sautee them until the onions turn into golden brown. Add the mixed vegetables. Sautee till the vegetables becomes soft. Add water and cover the pan with a lid. Once the water comes to rolling boil, add the cracked wheat slowly to avoid lumps. Keep stirring and cover the pan with a lid . Let the sambha rava gets cooked in reduced heat for 5 mts. Garnish with freshly grated coconut on top if needed. All your displays are colorful and fantastic! !